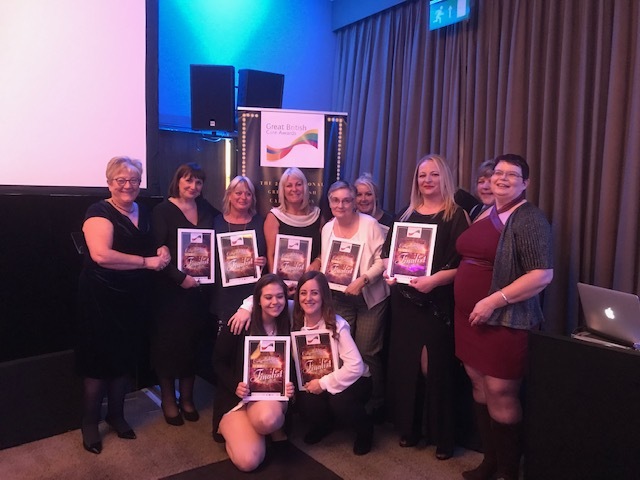 Two employees of Cross Keys Homes’ outstanding care service, Cross Keys Care, are celebrating having won awards in the prestigious Great British Care Awards, Eastern Region. Gerardine Church, Manager of Cross Keys Care’s extra care scheme, Kingfisher Court, won the Dignity in Care category, recognising her passion for people and ensuring they are involved, have a voice and are truly respected through every aspect of their care and housing. Senior Care Worker, Sam Fearon, won the Frontline Leaders Award. The judges saw that Sam’s enthusiasm for her role really shines through, and her leadership skills have resulted in many positive benefits for Cross Keys Care. Cross Keys Care is celebrating its fifth anniversary this year and in that time the service has become Peterborough’s largest provider of independent living solutions, offering two extra care schemes, care for people in their own homes and their LifeLine emergency alarm system. Their person centred care puts the client’s needs at the heart of the service and is able to combine technology and traditional personal care to ensure people are able to live the life they want, in their own home.